As the days lengthen towards the equinox next week the rhythms of Spring are well underway. 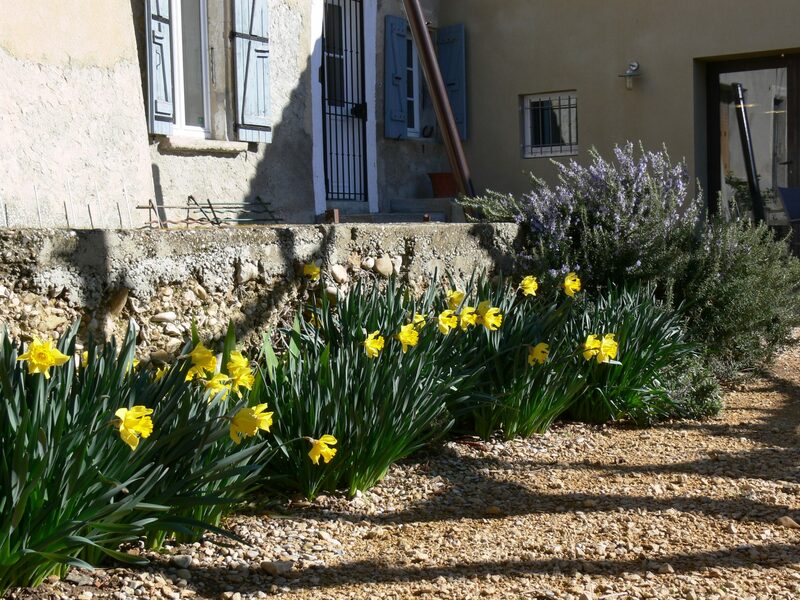 In the courtyard the daffodils resolutely shrug off the cold, the hail and the wind and the rosemary is in flower and alive with the hum of bees. 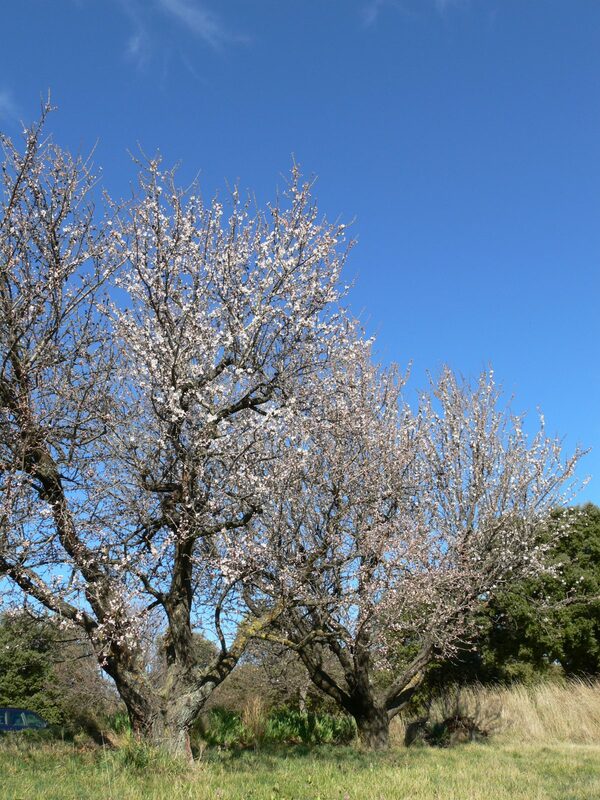 The almonds are always the first trees to emerge from their winter hibernation and the warm weather earlier this week has coaxed them into flower too. Fortunately we have had a reasonably wet winter and early Spring to make up for the exceptionally dry Autumn at the end of last year. Although February was rather dry, we have had lots of rain so far in March and there is more in the forecast. This will help build up the ground reserves to sustain the vines through the Summer. We have had a couple of cold snaps, going down to -10° at the end of February, but have had very little snow this year and at least here the risk of snow has now passed. Looking at the various flowering dates we are about two weeks behind last year and are anticipating bud burst around the second week of April. This is more normal than last year, which was very early with bud burst in late March. The winter work in the vines is almost done. The pruning will be finished early next week and when the soil dries out a bit we will be able to start ploughing between the vines and hopefully get this done before bud burst.